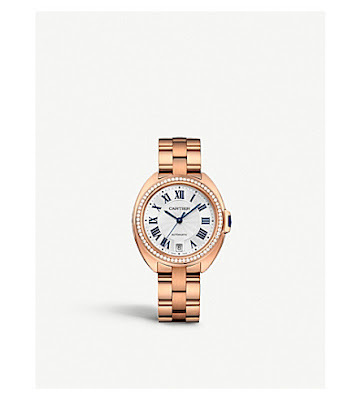 Take your pick from bold statements to something discreet, or maybe just a classic elegant design luxe watch but they all have impeccable craftsmanship and design, these watches are some of the top timepieces available and the Selfridges have a superb selection. 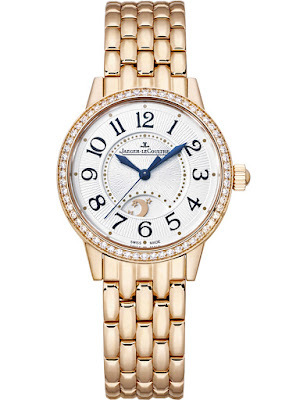 Swiss watchmaker Jaeger LeCoultre has perfected the art of highly accurate, high-end time pieces. 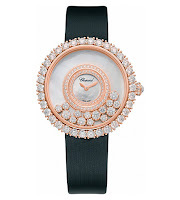 Their Rendez-Vous Tourbillon automatic watch represent the pinnacle of this production. With second, minutes and hour hands, and indicator of day or night, you can also see through the face’s rose gold and 33 diamond encrusted front to the inner workings of time. A pioneer in Swiss horology since 1775, Breguet lays claim to many an unmistakable hallmark – and hand-engraved engine-turned dials are one of its most iconic. 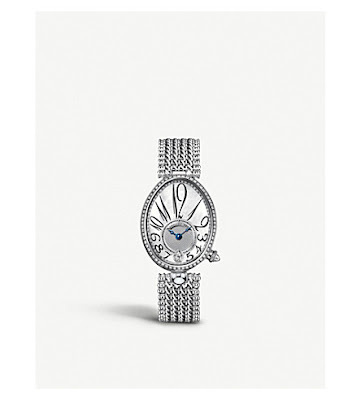 Capturing the ladylike refinement of a timepiece the brand created for Bonaparte’s sister Caroline, Queen of Naples, this watch consists of an oblong 18-carat white-gold case set with diamonds and fitted on a matching bracelet strap. The Tahitian mother-of-pearl dial is set with a pear-shaped diamond while the silvered gold part of the dial showcases signature etching. 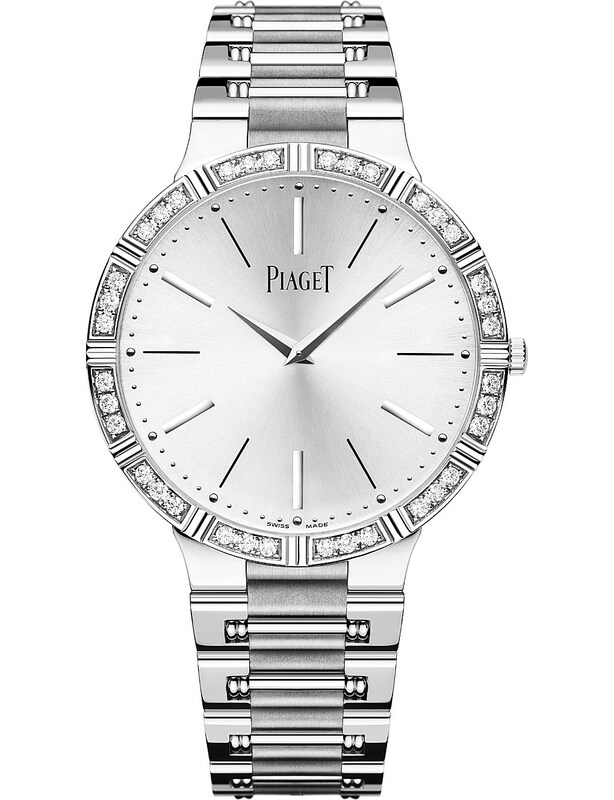 As its name suggests, the Dancer watch by Piaget is a graceful, agile and svelte timepiece. 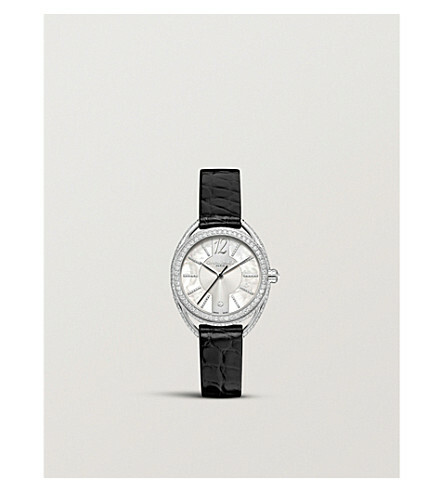 Rendered in 18 carat white gold, it features a minimalist dial, accented by an equisite vignette of diamonds to give it its luxurious allure. Fit with a power reserve of up to 43 hours and water resistance up to 30m, it's as reliable as it is sartorially stunning. Inspired by the myriad sparkling droplets of a waterfall, this striking timepiece was created to mark the 40th anniversary of the Happy Diamonds collection. The diamond-set bezel, satin strap, cloud-like white mother-of-pearl dial and dancing prong-set diamonds all combine to evoke a soft, otherworldly landscape where dreams shift, shimmer and swirl in the light. 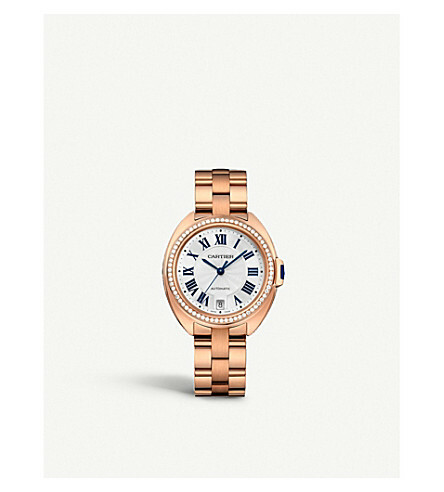 The Clé de Cartier watch is a testament to accuracy, balance and proportion. The soft curves, clean lines and a rounded profile ensure and elegant finish. Considerable mastery was required the create the fluid lines and harmonious ensemble of this piece. The Clé de Cartier houses the calibre 1847 MC, the new Cartier Manufacture Movement. 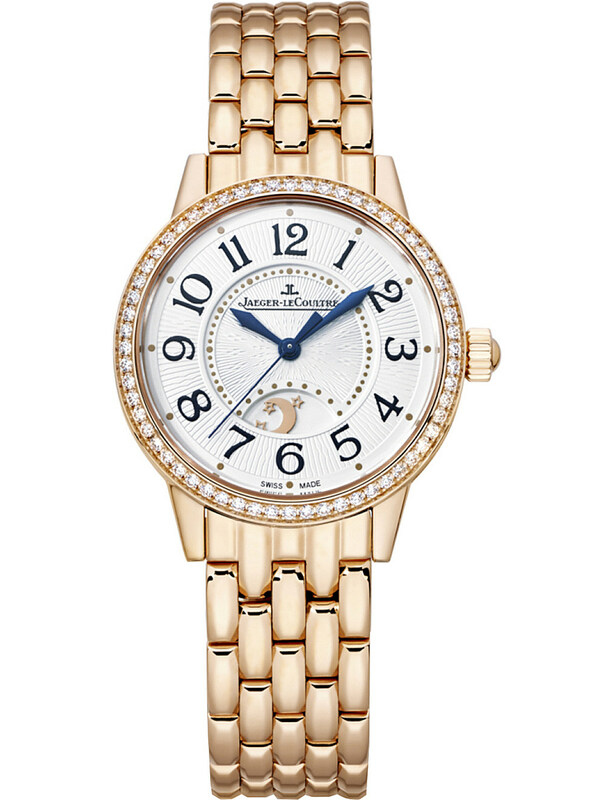 Celebrating the brand's French heritage and feminine-led aesthetic, Chaumet's Liens Lumiere watch makes for a stunning debut to your jewellery collection. 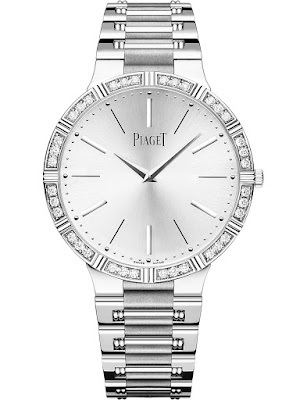 Cast in 18-carat white gold and imbued with a mother-of-pearl dial, elegant curves enfold the case, coming together in matrimony at its sparkling pavé of 393 brilliant-cut diamonds. Finished on a leather strap, it is both functional and glamorous.